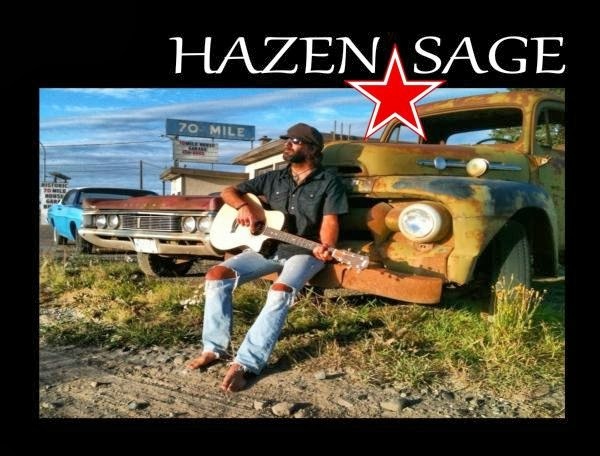 Hazen Sage is an Island based Artisan Rocking a Taylor Baritone guitar & kicking his Pearl Master Drum, Singing & creating a blend of Chris Cornell meets Coldplay & Mumford & Sons with accents of the World. Hazen has played across BC, Alberta, Vancouver Island & Mexico. Most recently, opened for Legendary John Fogerty formerly of C.C.R. on Monday Sept. 24th, also opened for Juno Award winning Tom Wilson (Junkhouse, Blackie & the Rodeo Kings, LEe HaRvey OsMoNd), & Juno Award, Multiple CMA winner Clayton Bellamy. Just received news of an invitation to open for Vancouver's Hey Ocean & has shared the stage with 2 time Vancouver Island Award Winner Emily Spiller & Vancouver Island Award Winner Jessica Benini. 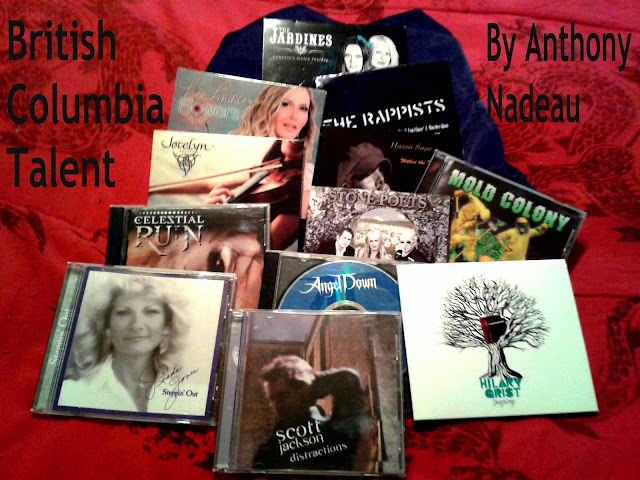 Just releasing his latest CD "Within the Moment" (Now being played on CBC, CKUA, CHLY & more Radio Networks) Touring Canada & kicking off the 2013 Festival year with the Believe Freedom Festival in Whistler, BC. 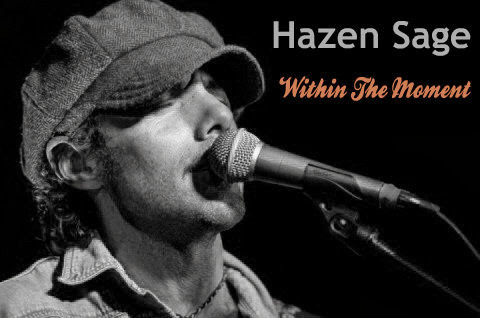 Hazen has shared the stage with great bands such as Shred Kelly, Wax Mannequin, Miss Quincy & the Showdown & Picture the Ocean & many more!!... Rolling with his cosmically musical friends, Hazen Sage looks forward to sharing the cosmically explosive musical adventures with all of you!! With all the heavy metal that I review an album like this is a welcome friend that needs to visit more often, for sure.Don't get me wrong I love all the music that I get but mostly what I get is heavy metal. The songs are well written and performed at a level that one can appreciate this is some really enjoyable music, this is World Gypsy Rock he has a raspy voice very similar to that of Rod Stewart. Well what more can one really say after opening for a TRUE LEGEND like John Fogerty!! <3 !! I simply cannot express enough gratitude for such an amazing opportunity & to share energies on this scale... I am so gratefully humbled & honored... John took the stage like he was still 17 yrs old!! even though he's 67... you would have never have known... Truly a magnificently awe struck eve... This was truly the greatest display of raw natural talent I have ever seen on a musical stage... I would get into the details... but instead I will suggest to all of you... Go see John Fogerty while ya still can!! It will be the musical highlight of your lives!! I'd love ta thank the lovely older couple we danced with all night long at the show... They shared the stories of when they were first together @ Woodstock 68' when the Grateful Dead had just finished playing & CCR took the stage!! Amazing that not only are they still together... they were sharing that memory @ John Fogertys show in 2012 with me n' my crew!! Amazingly beautiful & SoOoo much fun!! There is some really good and enjoyable music on this album and wish him the best in his travels and his future in his career "Storm" is a fantastic song one of my favorite songs on the album for sure.